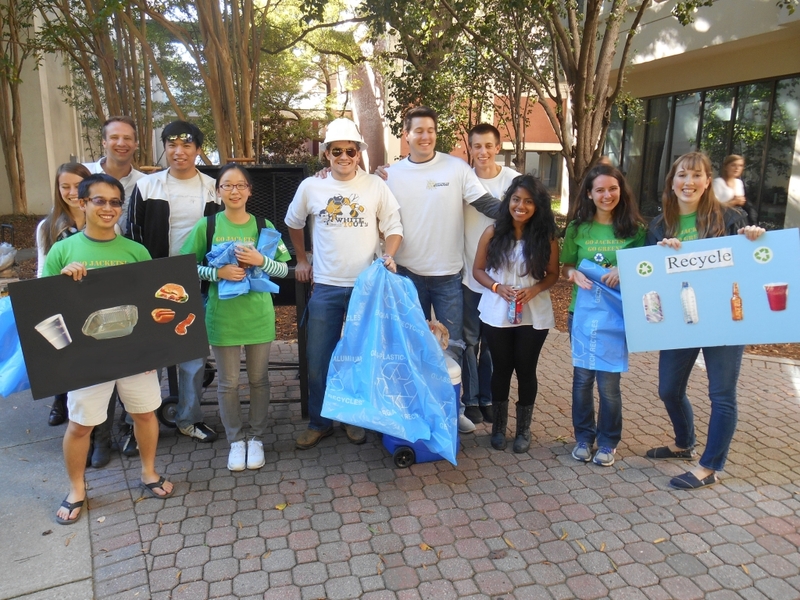 Football games bring thousands of fans onto campus and generate tons of trash. 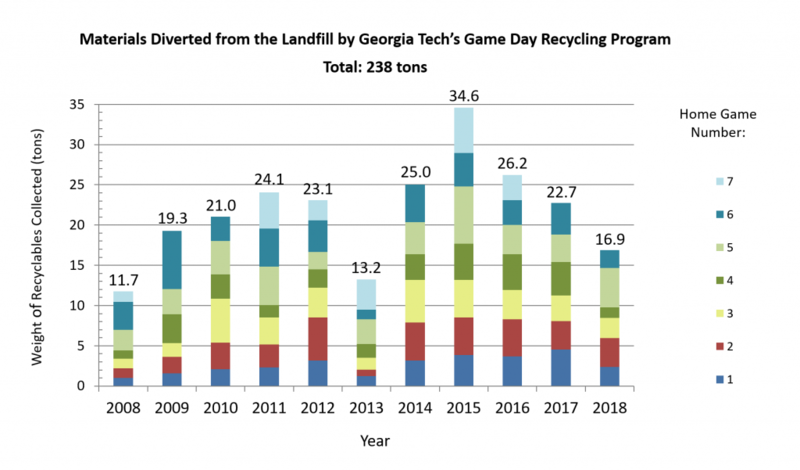 Since 2008, Georgia Tech's Game Day Recycling program makes it convenient for fans to recycle, whether they are tailgating, walking through the campus, or inside the Stadium watching the game. The success of the Game Day Recycling program hinges on the active participation of everyone attending home football games. 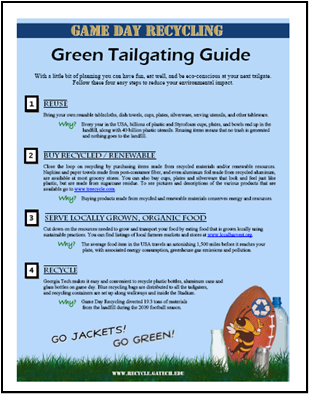 If you are tailgating before the game, simply place your recyclables in the blue bags, which are given out free by volunteers. Leave the bags on the ground and they will be picked up by Georgia Tech Facilities. Also, make sure to use the green recycling bins that are set up in and around Bobby Dodd Stadium.